What do you have to fear? Laws are only enacted to deal with law breakers! Harper’s new legislation should be such that CSIS will have the power to arrest, not simply to ‘disrupt’ Jihadists like Imam Hamaza Choui from Montreal. They also should reflect clear and easy ability to deny the radical Imam Abu Ameenah Bilal Philips from every placing his foot again on Canadian soil. These two ‘birds of a feather’ need to be dealt with exactly as spoken to in the blogs: ‘Stop Looking for The Obvious’ and ‘Canada’s Greatest Threat’. I shall present some copy about these two piles of satanic Muslim dung and will make a few comments about each. Hamza Chaoui is a menace to Canada, and is not to be permitted to puke out his Sharia based mentality any further. Behind Bars or Beyond Our Borders Now! “In the Hochelaga-Maisonneuve borough, officials are taking a closer look at a permit request from an Islamic community centre after learning the imam who’ll be working with young people there has some radical views. The mayor of Hoshelaga-Maisonneuve told La Presse the centre has not received their permit to open yet and they are evaluating it closely. Remarks: Perhaps this walking vomit from Hell will wander into a stray bullet at his next ‘protest’ and save the Canadian taxpayer more ‘hard earned dollars’ dealing with his garbage. Legislation is already in place to put this man behind bars and commence process of formal permanent ejection from Canada. I pray Harper and Cabinet do not allow hypocrites in Church and State to sway them from the strong position Canada must take now. As to Haroun Bouazzu and his statement ‘perhaps legal action needs to be taken against Hamza Chaoul’: what stupidity can a person display and still be regarded as rational in judgment? Bouazzu and his organization need the full brunt of the ‘anti-terrorism’ legislation applied to them as well. Get this buffoon to clarify why there is a differentiation made between Muslims and Arabs in his Association of Muslims and Arabs for a secular Quebec. Are the Arabs in the association Christian, Buddhist or Sikh Arabs? It is time to put this clown show back on camels in the Middle East where they all belong. A liar and a terrorist, nothing but another Muslim Jamaican Jerk! Remarks: If my God ever created a genuine waste of skin this is it. Read the quote and links for another glowing example of Islamic induced intellectual capability. Quote: “The controversial Canadian-Jamaican imam is unwelcome in the U.K. because he is considered a “threat.” More recently, he was added to a “blacklist” in the Philippines because of “possible terror-links.” Philips also acknowledges he has been identified as an unindicted co-conspirator in the 1993 bombing of the World Trade Center in New York. Much of the controversy around Philips stems from statements he made in 1995 that appear to support suicide bombers, suggesting the tactic is a legitimate “military action.” Philips admits to using those words, but said that’s only in the context of a “battlefield” situation. Remarks: Yep, this ‘well- meaning good old boy’ is simply misunderstood about his definition of when it is appropriate to be a suicide bomber! When is it a ‘legitimate military action’ to send a ten year old girl into a market place to blow herself and innocents around her sky high? It is only followers of the Muslim creed that consider such as a ‘legitimate military action’. Perhaps this man has been hanging out with the Canadian Somalian Muslims and chewing their narcotic gat so they can get stoned to communicate with their Allah. But, coming originally from Bob Marley Land the poor misunderstood lad may be simply a Muslim ‘pot head’. There is no logic or reason in the thought process of this highly educated Islamic diatribe artist. Read his terrorist rap sheet on the wiki report. This man escaped prosecution for his conspiratorial actions surrounding the 1993 Trade Center Bombing but the times have changed in dealing with his ilk. Whatever Canadian officials stated his comments don’t make him a threat need a complete ‘shake-up’ or perhaps the ones reviewing him were simply Muslims ensconced in our government that need to be weeded out. If this man is ever permitted entry to Canada from this point forward, all those allowing it need to be immediately prosecuted. 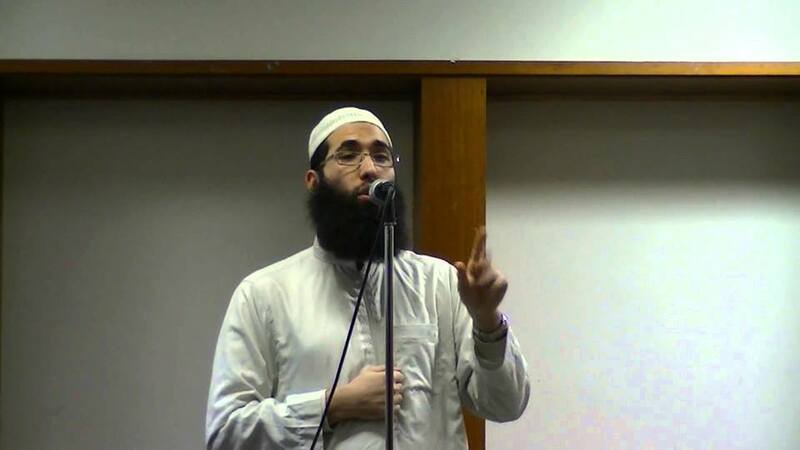 All claims to Canadian citizenship existing need to be terminated immediately and all known close Canadian associates to this terrorist at the Abu Huraira mosque in Toronto need to be handled according to what has been designated in ‘Stop Looking for The Obvious’ and ‘Canada’s Greatest Threat’. (Ecclesiastes 8:11) “Because sentence against an evil work is not executed speedily, therefore the heart of the sons of men is fully set in them to do evil.” Canada needs that men such as these receive justice speedily for their hearts are only set within them to do evil in our land. Get after Harper and Cabinet to ‘take the handcuffs completely off CSIS and the RCMP right now’!